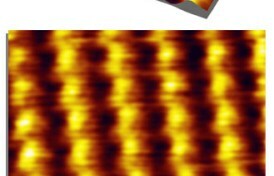 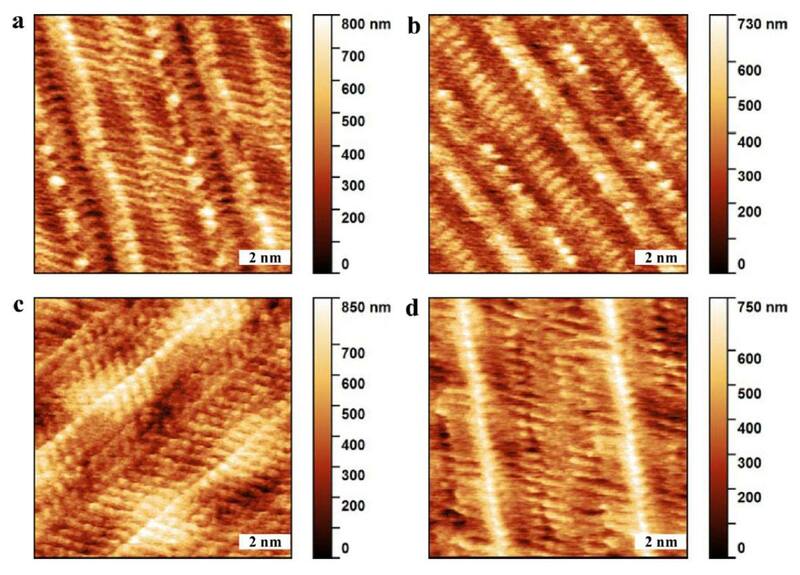 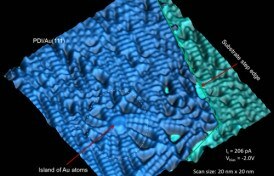 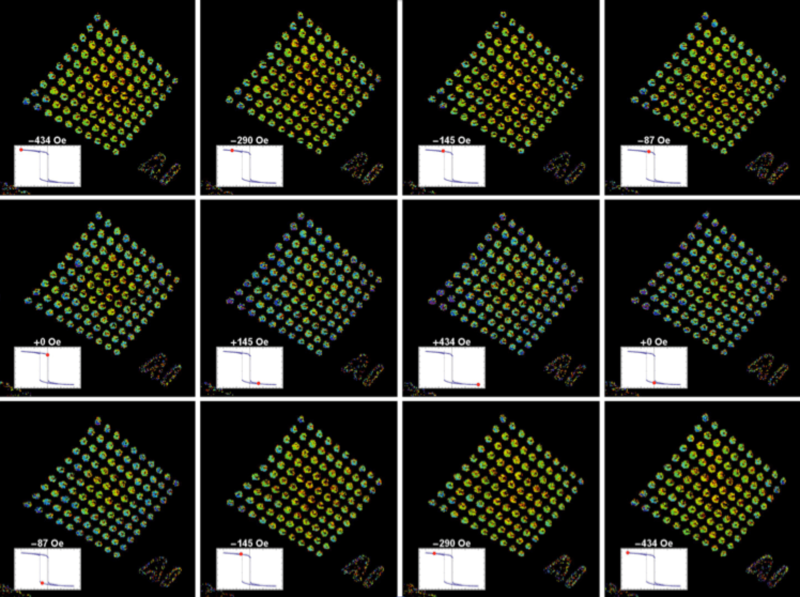 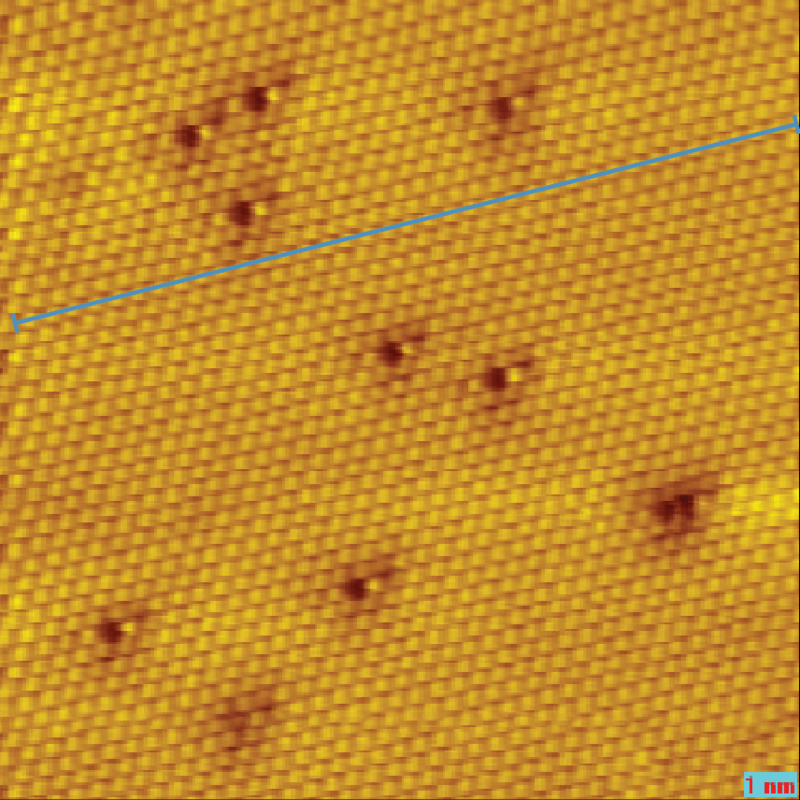 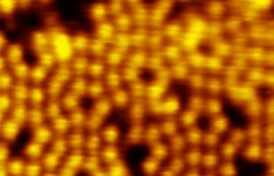 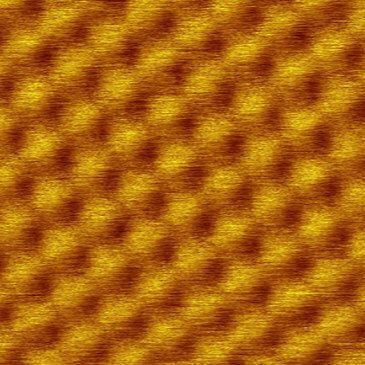 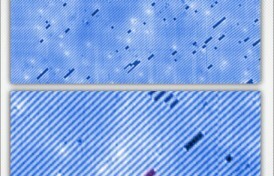 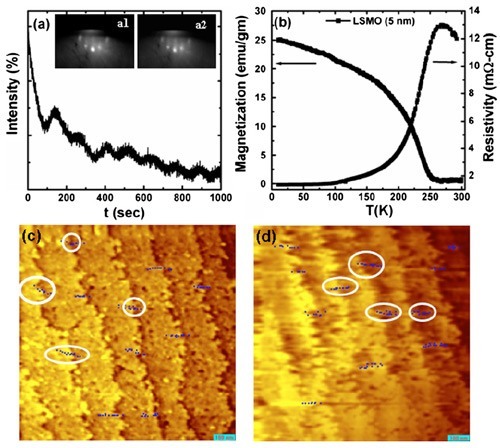 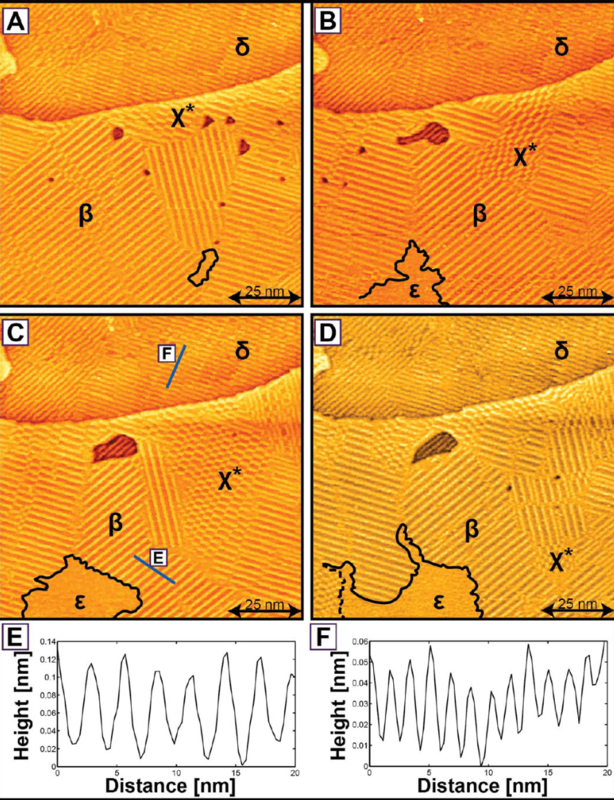 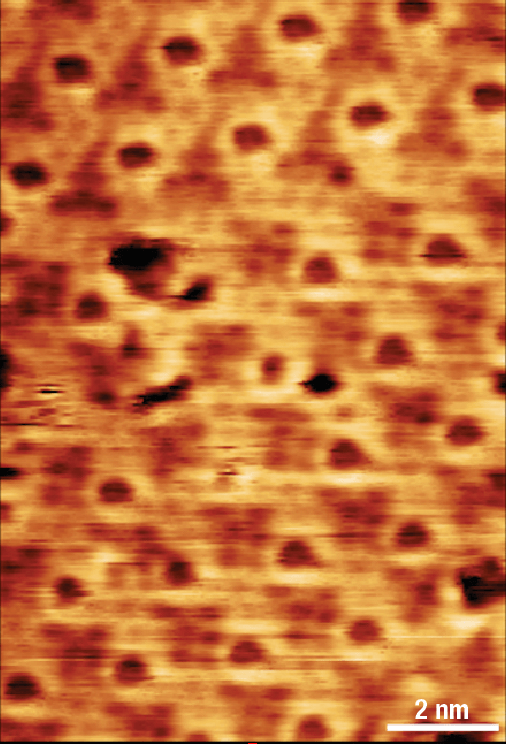 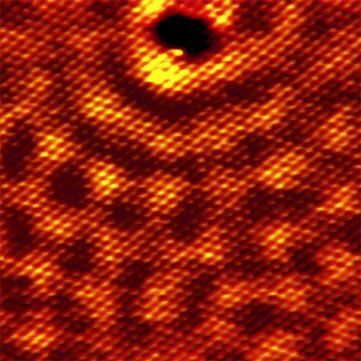 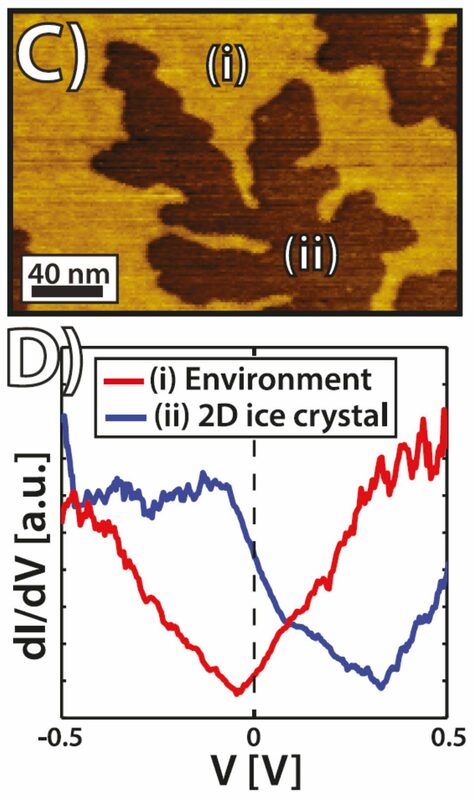 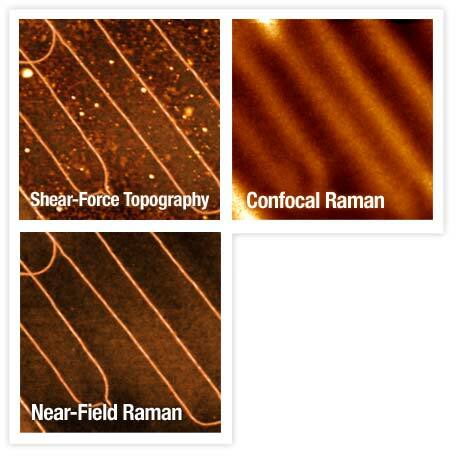 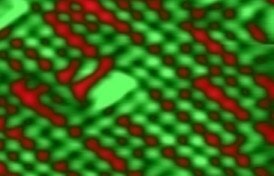 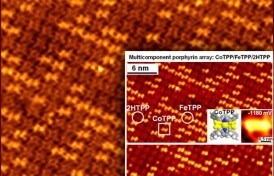 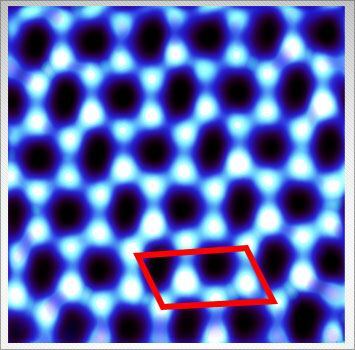 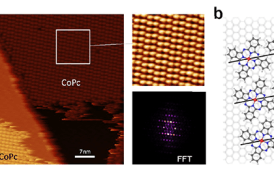 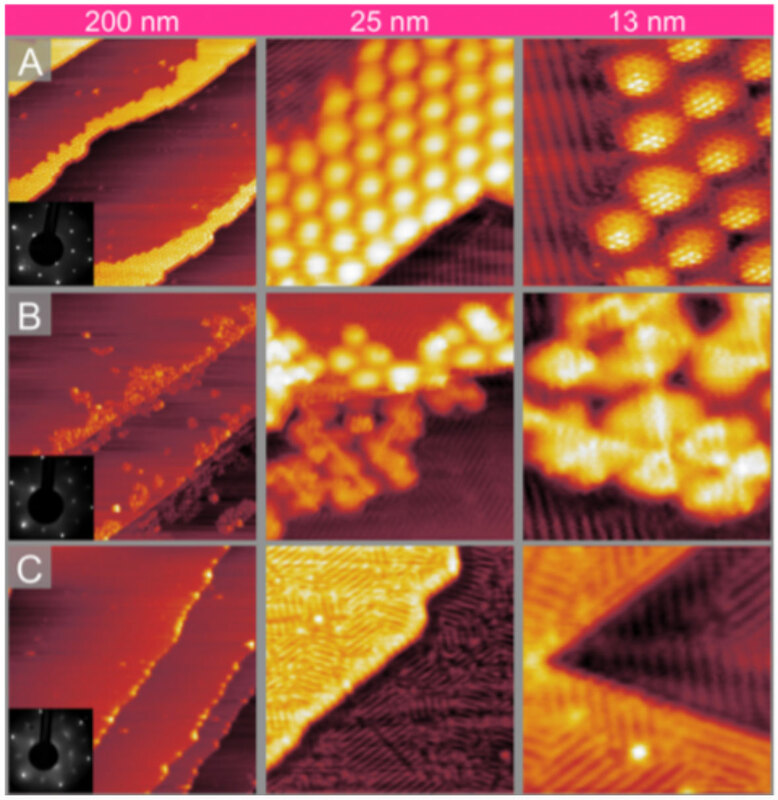 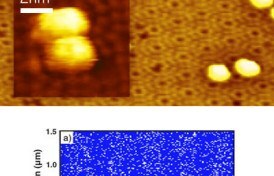 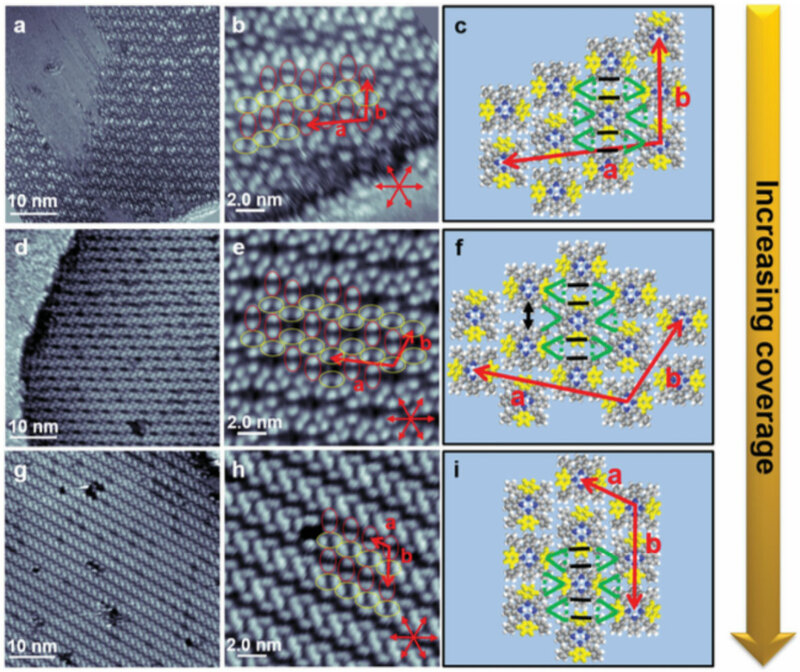 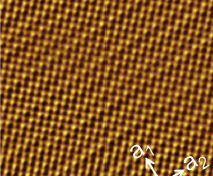 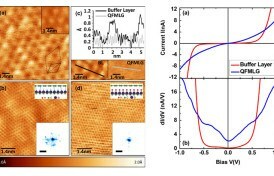 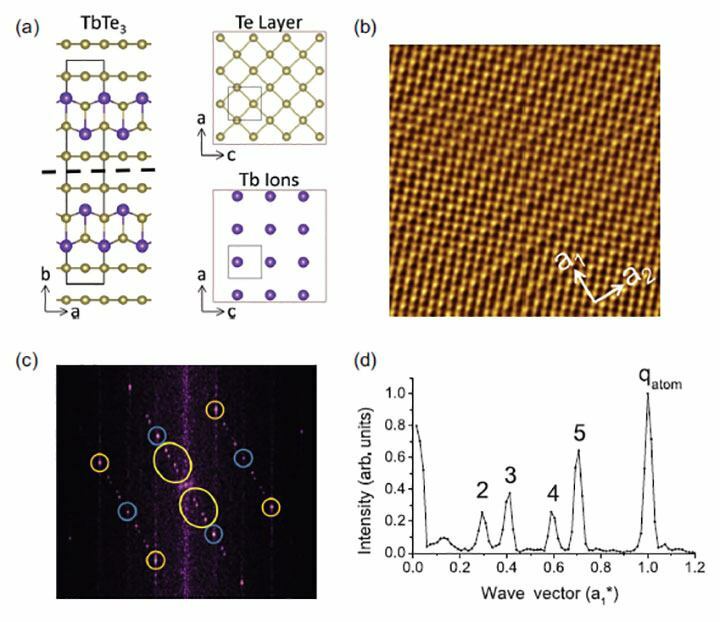 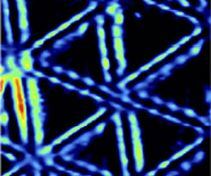 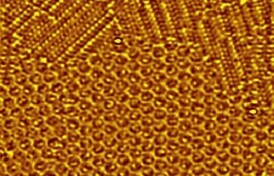 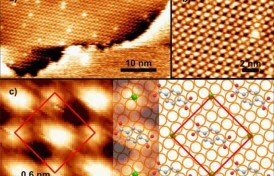 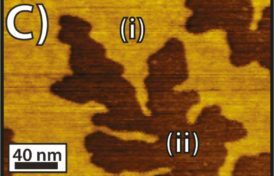 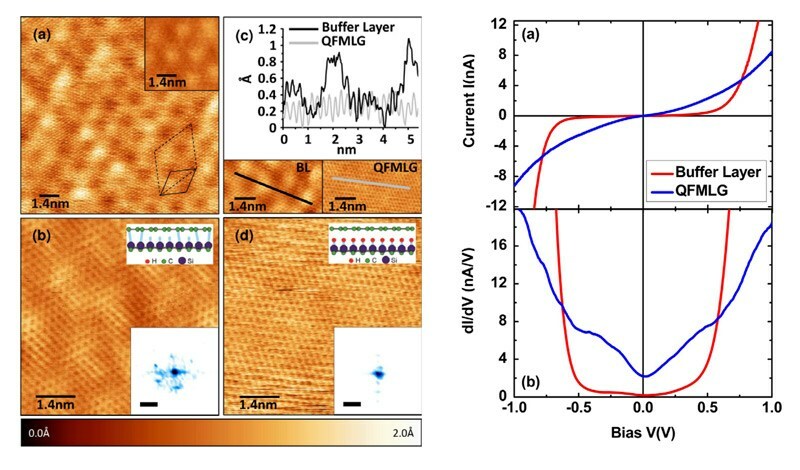 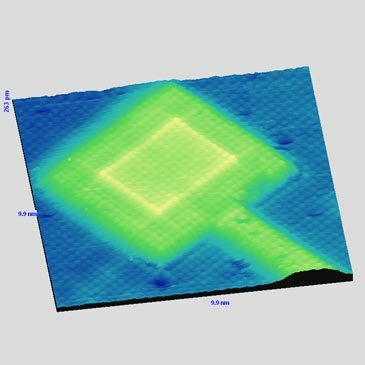 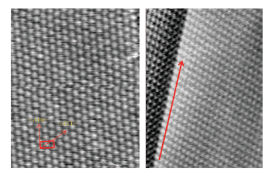 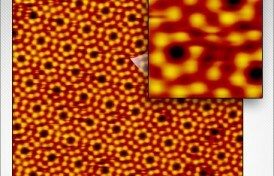 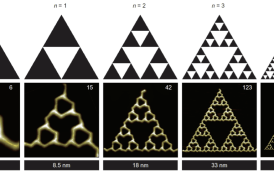 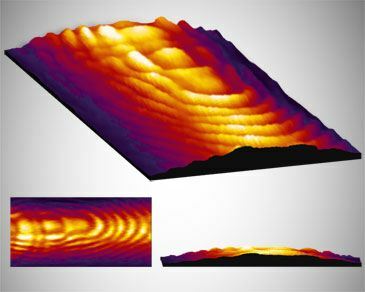 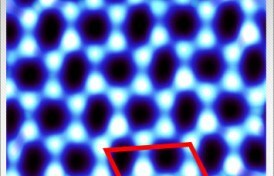 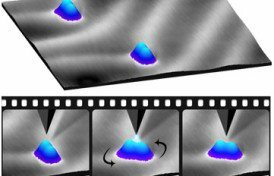 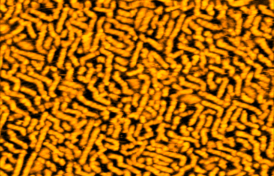 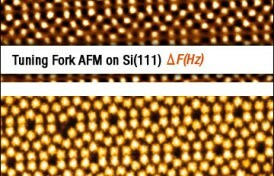 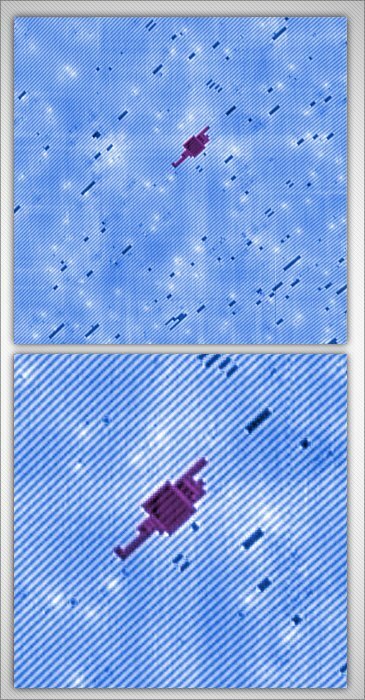 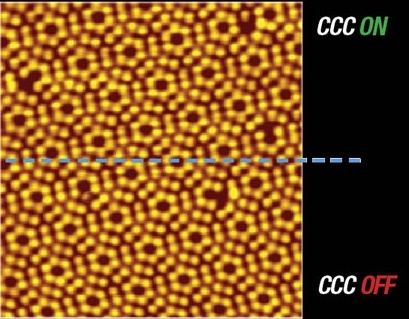 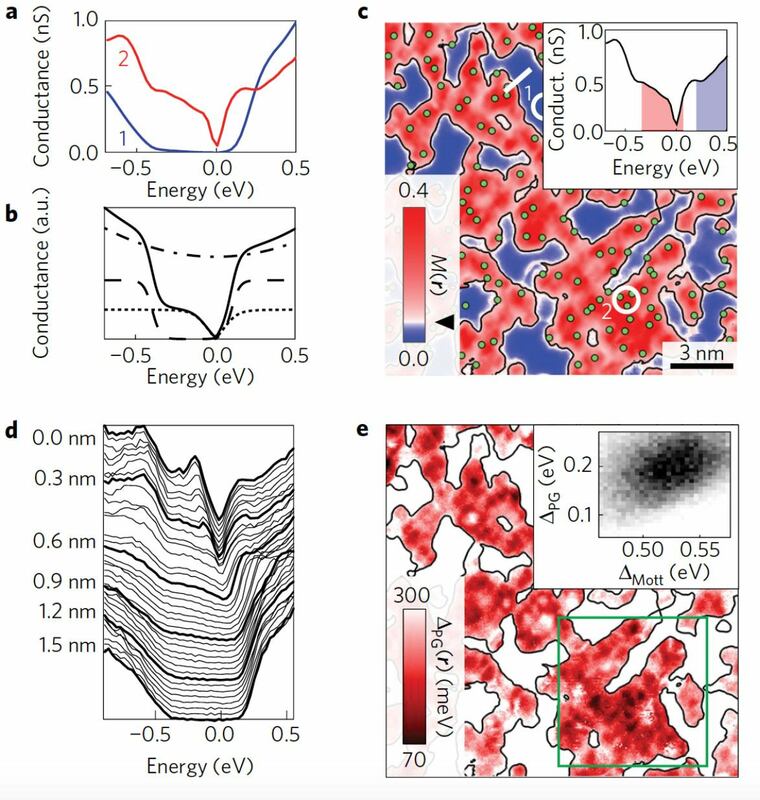 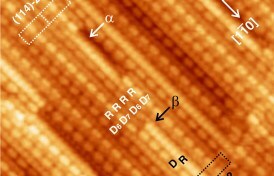 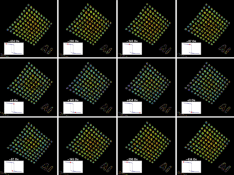 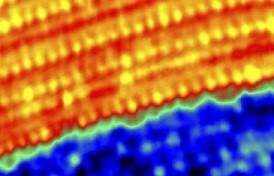 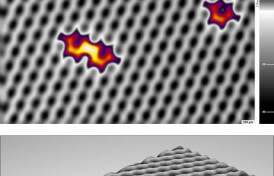 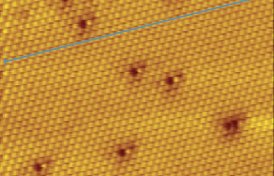 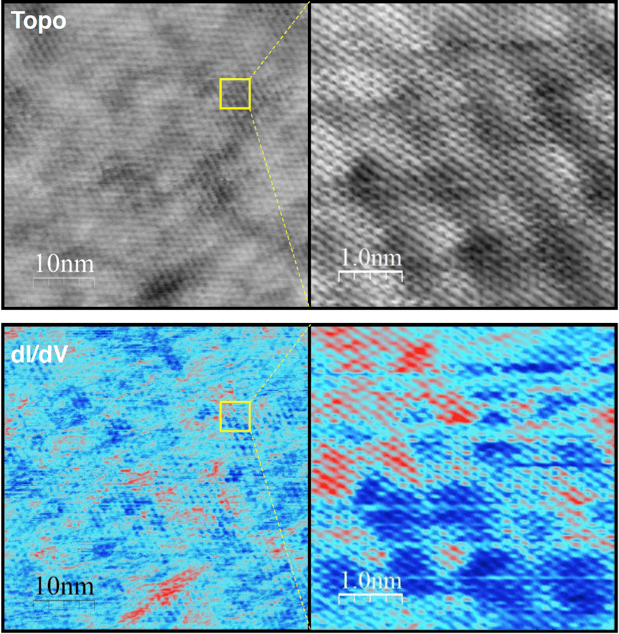 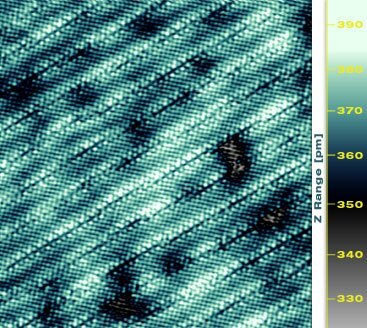 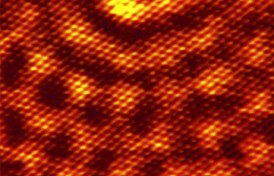 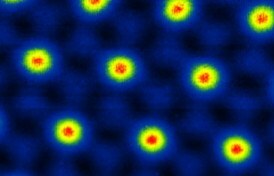 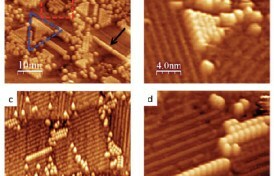 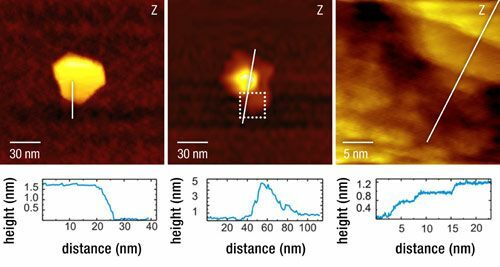 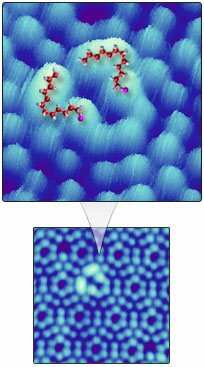 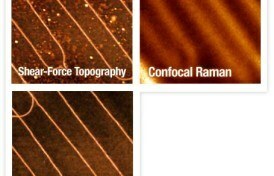 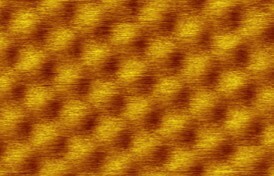 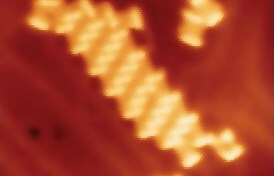 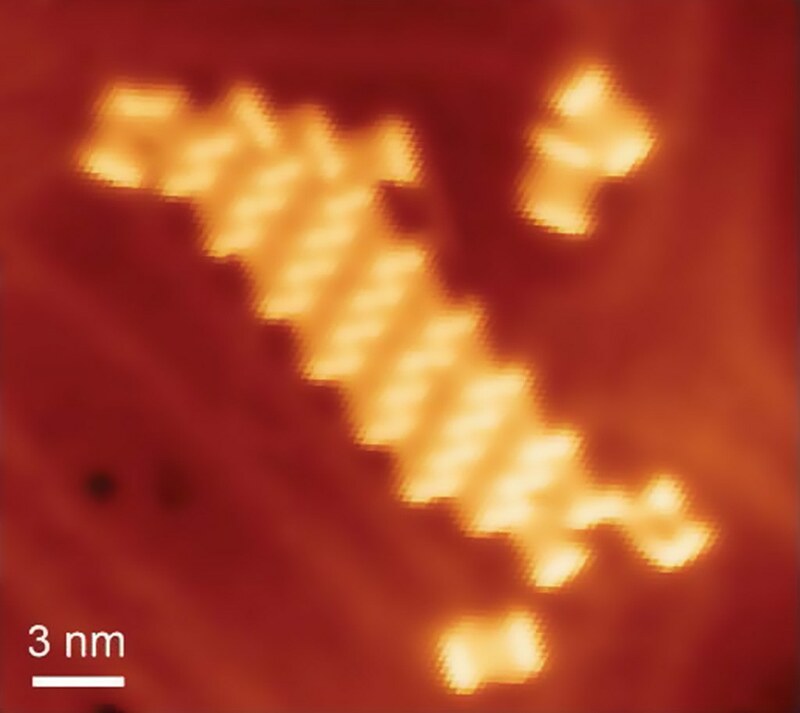 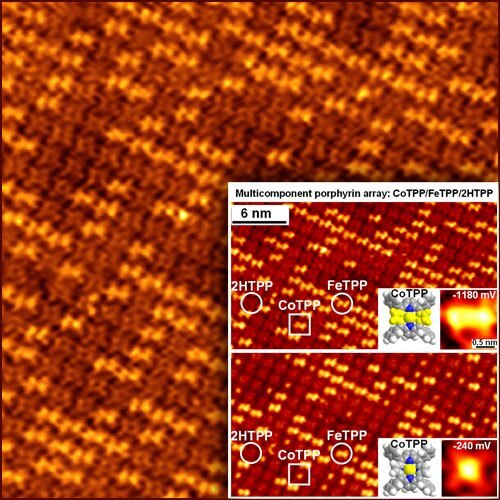 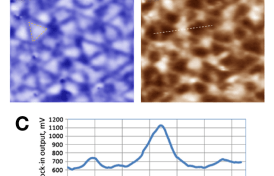 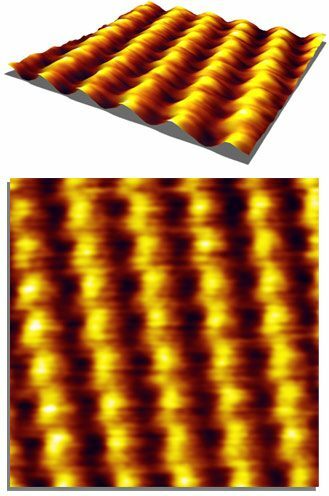 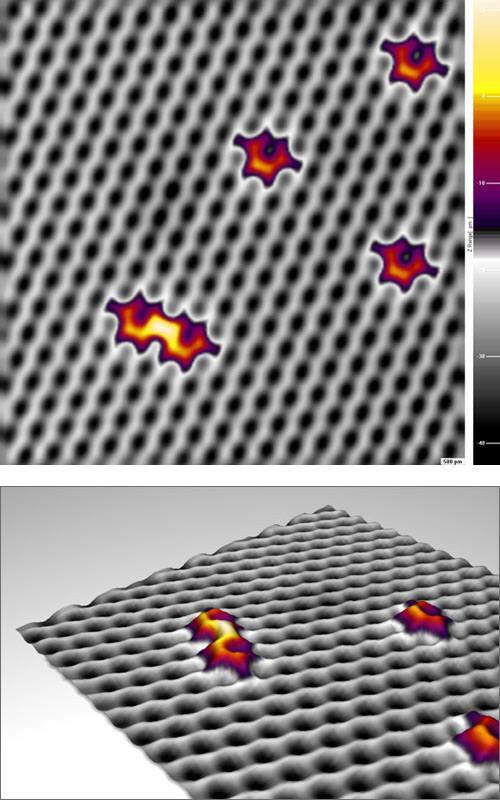 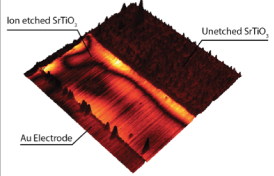 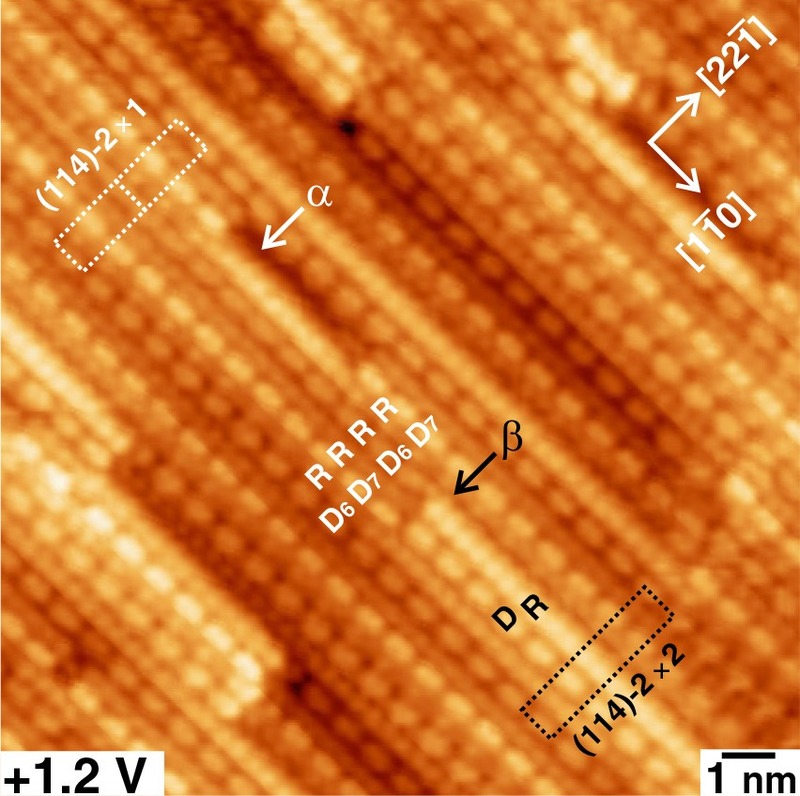 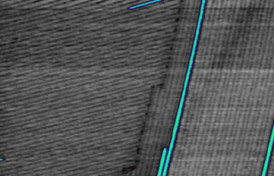 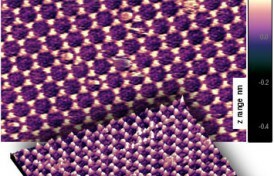 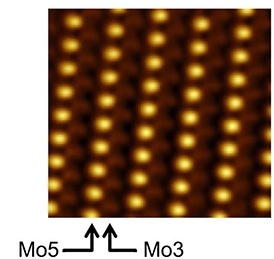 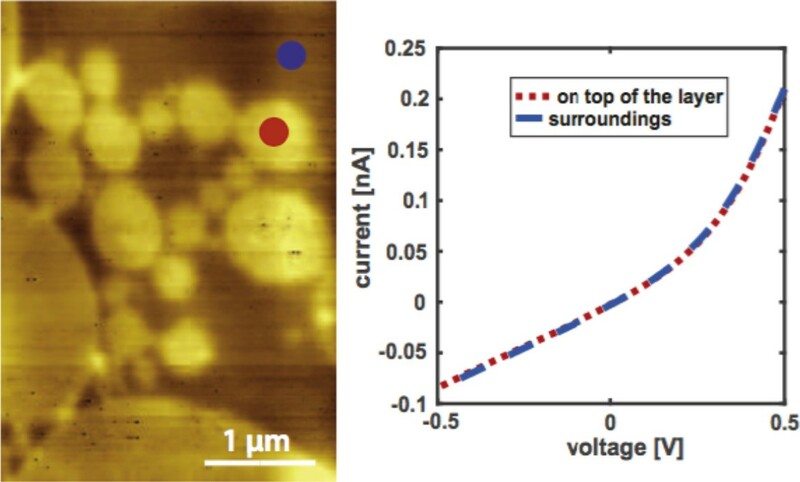 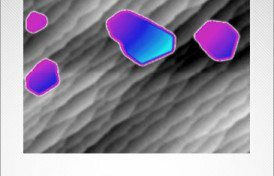 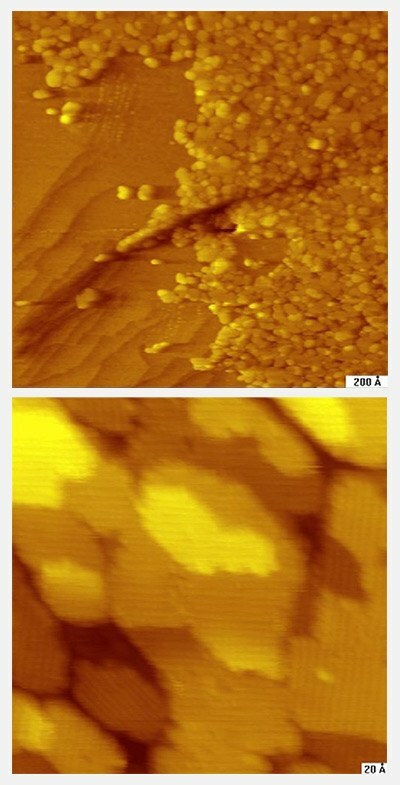 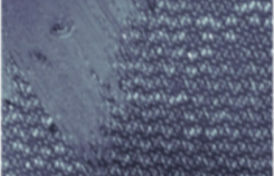 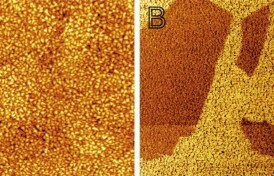 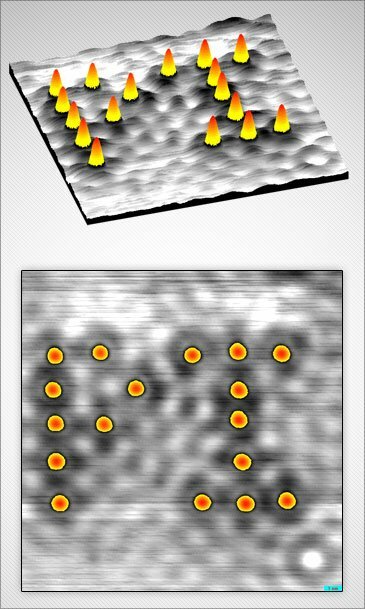 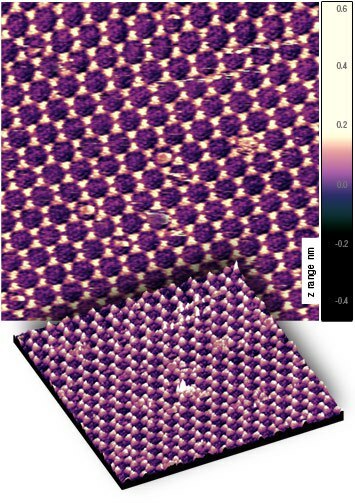 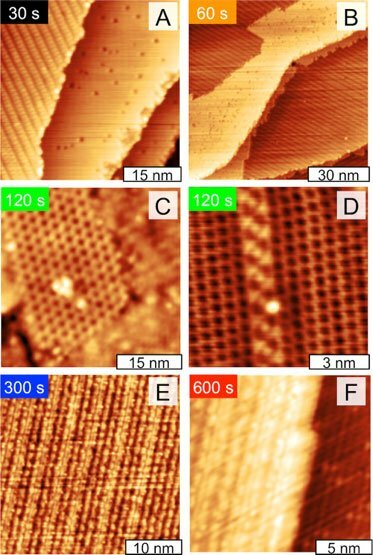 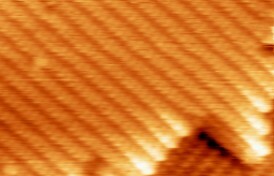 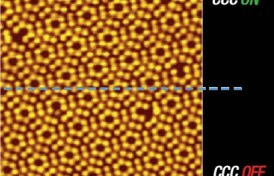 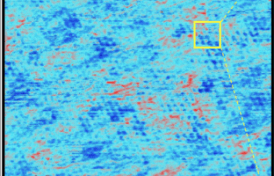 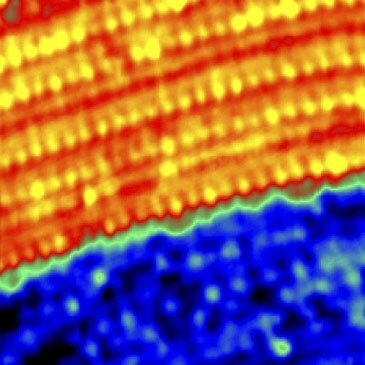 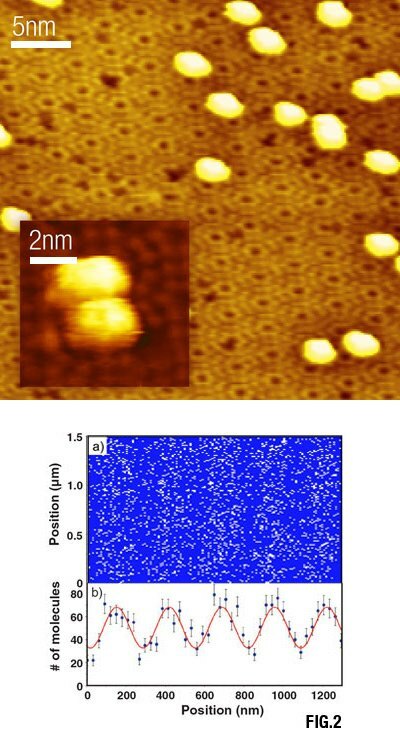 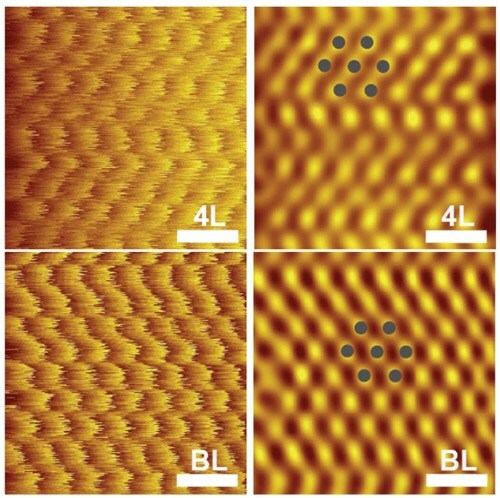 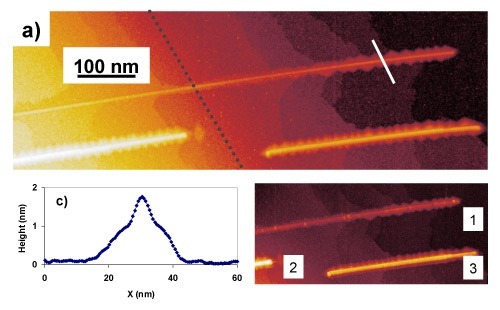 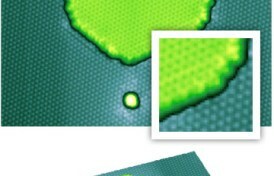 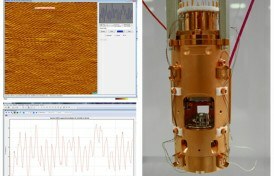 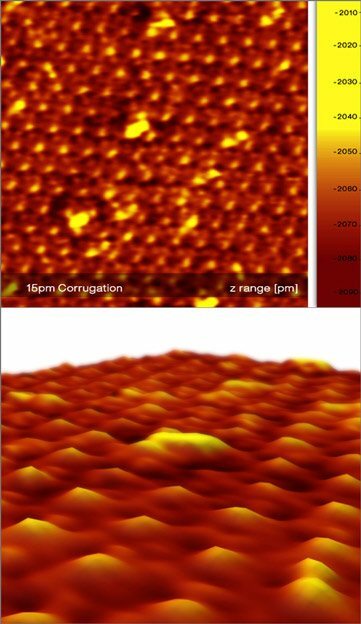 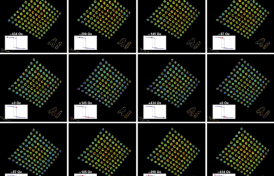 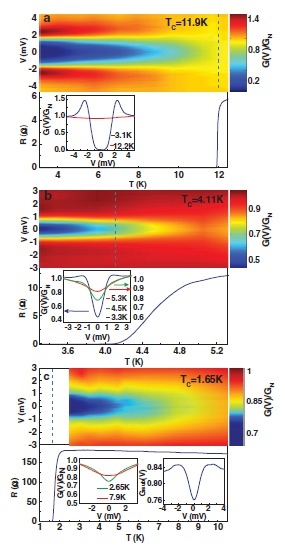 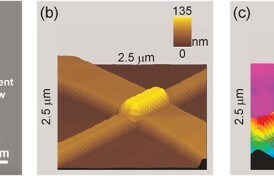 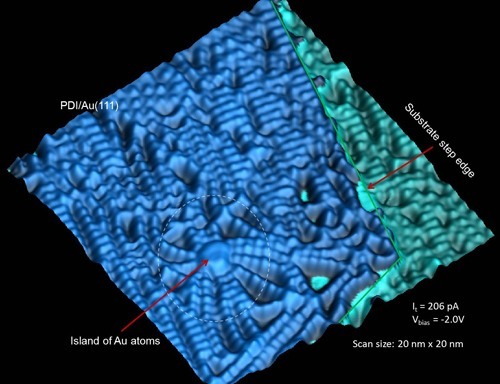 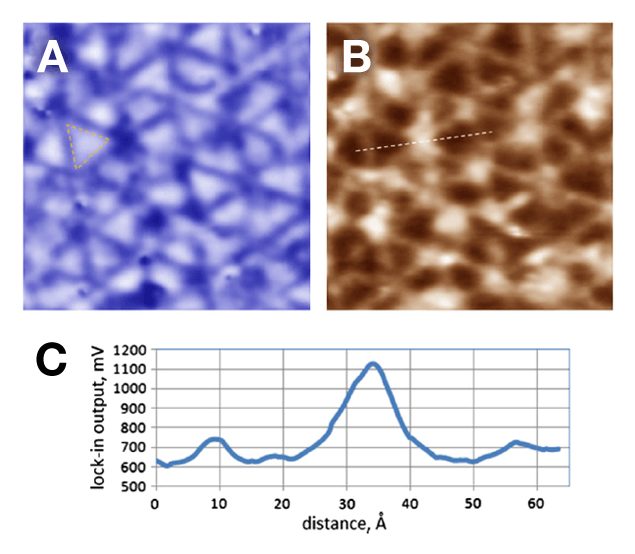 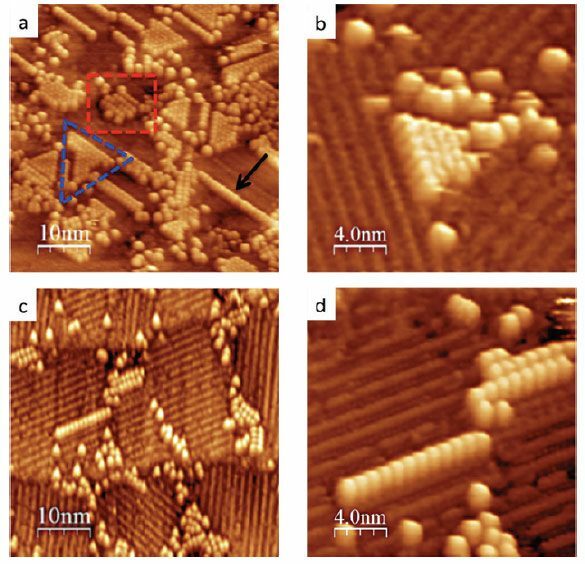 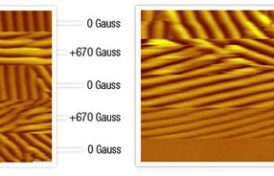 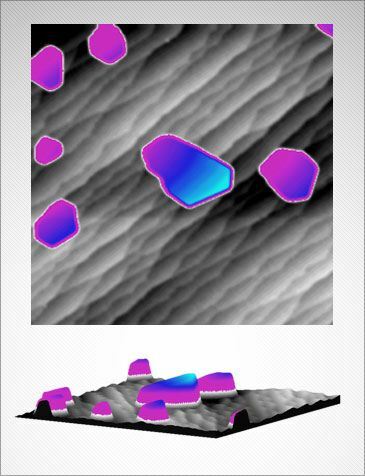 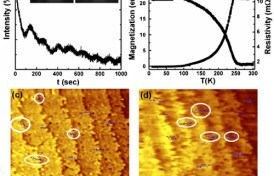 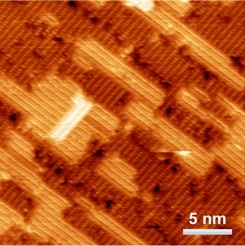 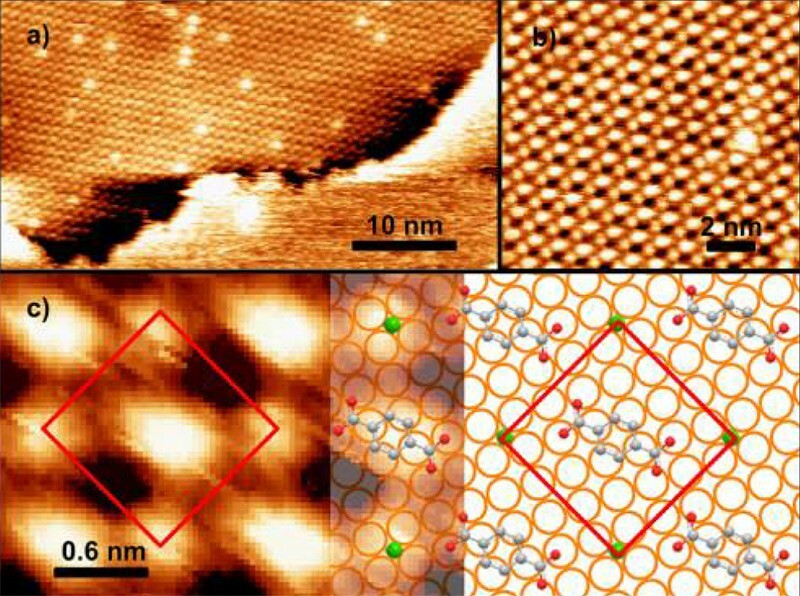 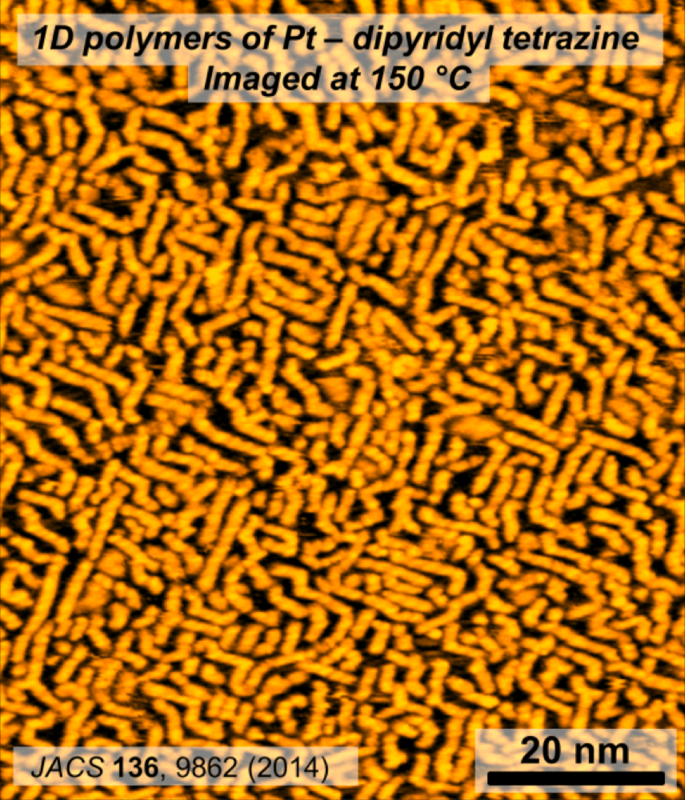 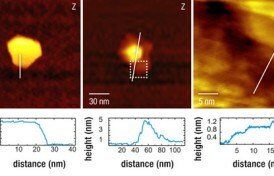 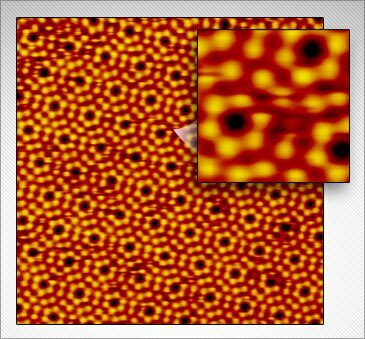 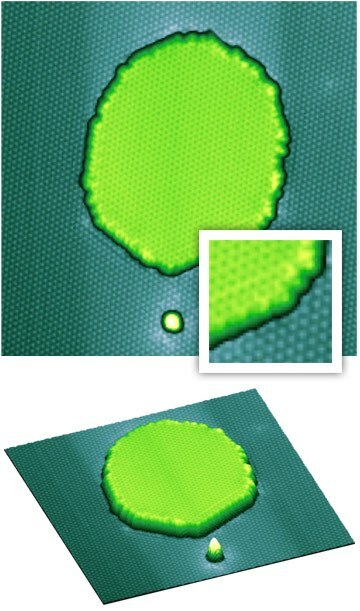 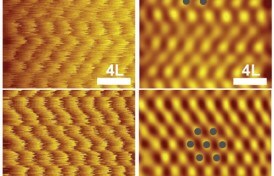 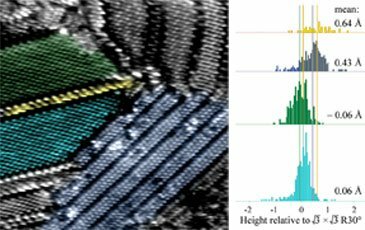 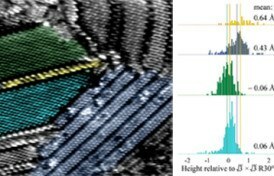 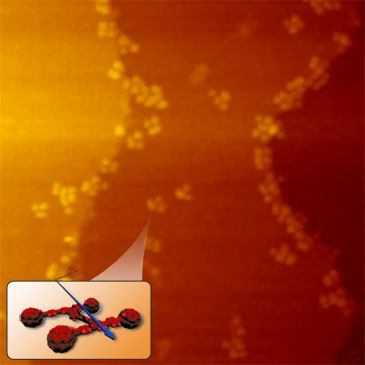 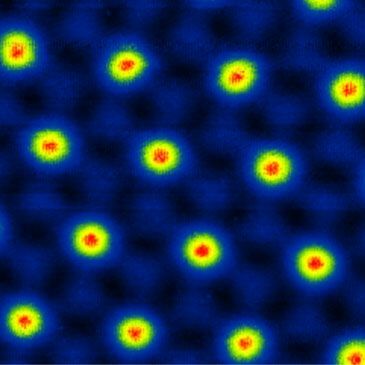 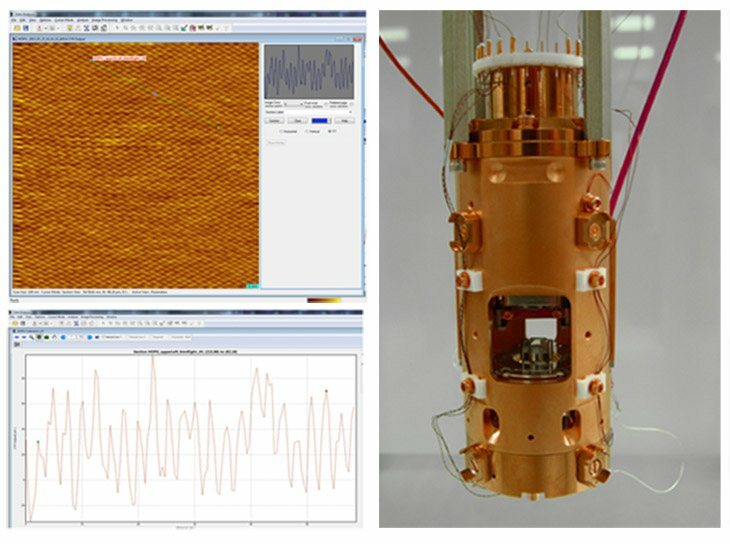 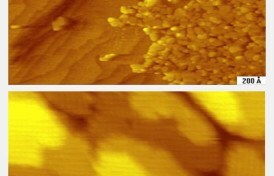 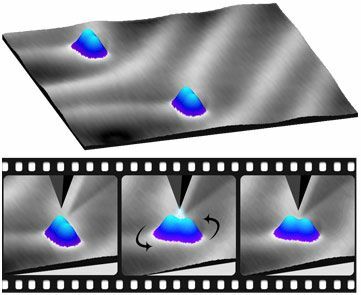 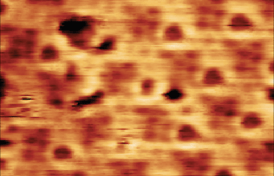 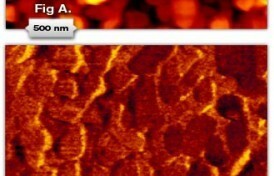 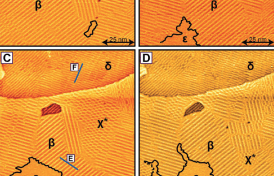 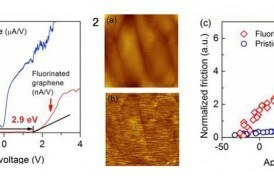 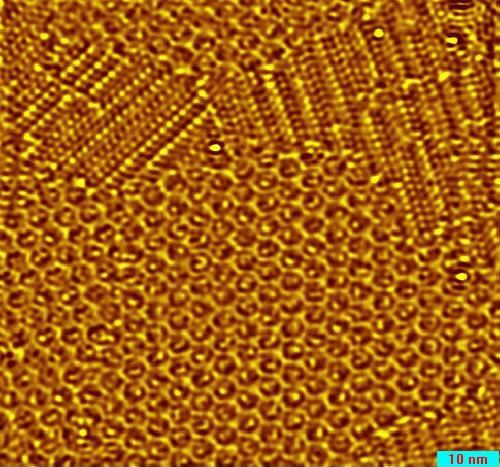 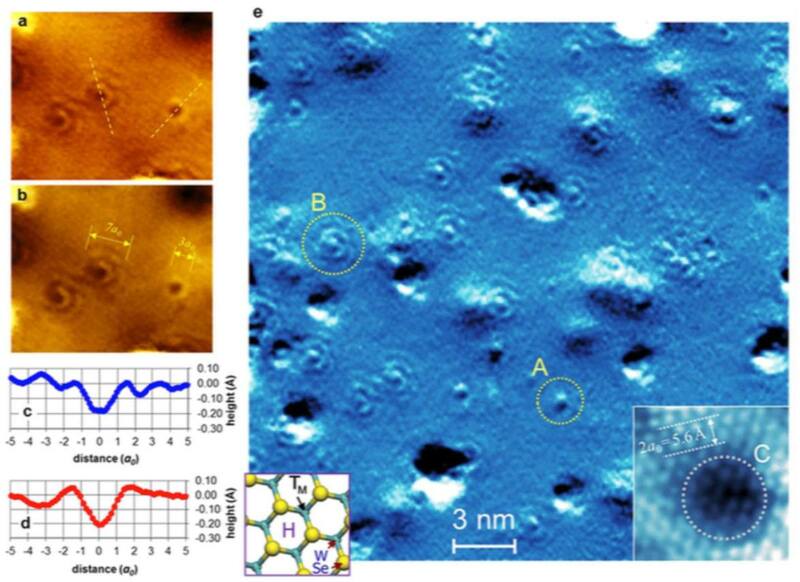 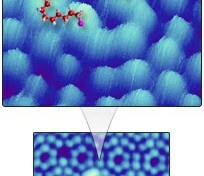 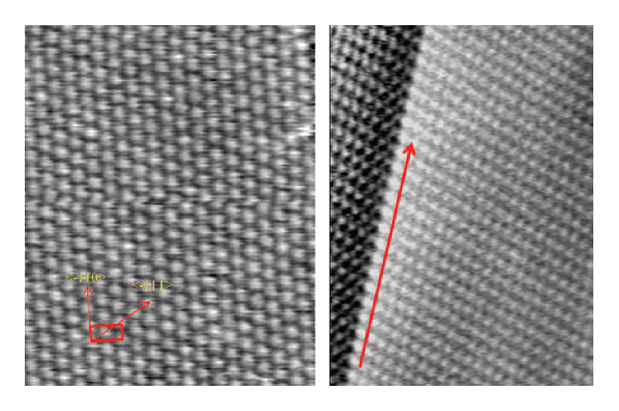 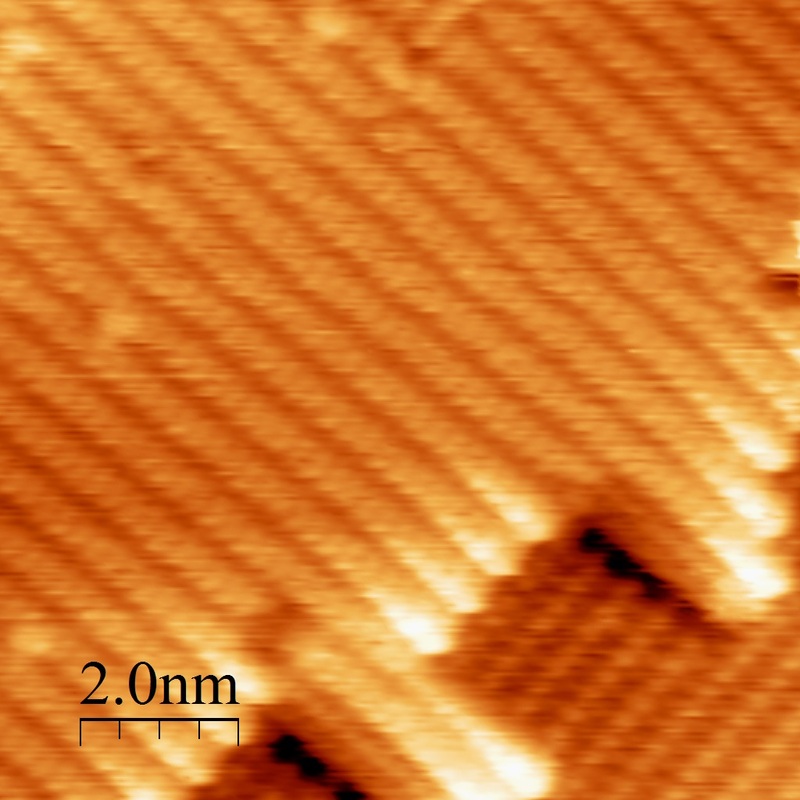 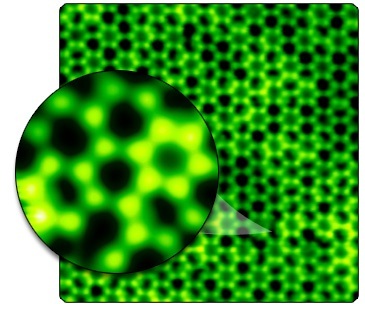 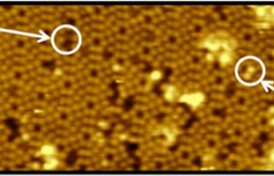 3C-AFM current maps of Array 1 at various applied magnetic fields between ±434 Oe. 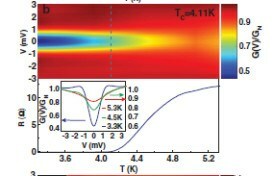 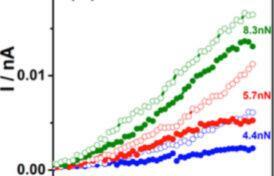 Insets show position on a resistance versus field hysteresis loop measured for one particle. 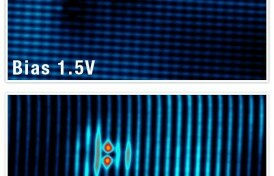 Saturated antiparallel (low current) and parallel (high current) states are marked with antiparallel or parallel arrows. 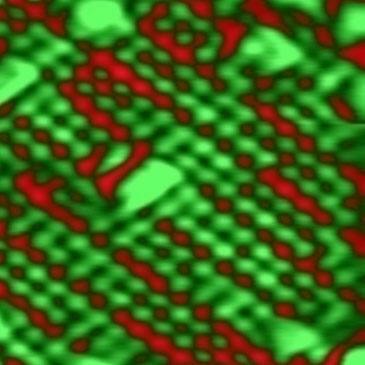 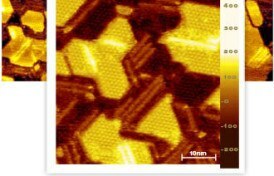 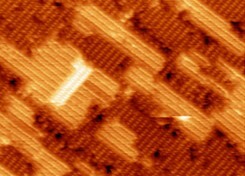 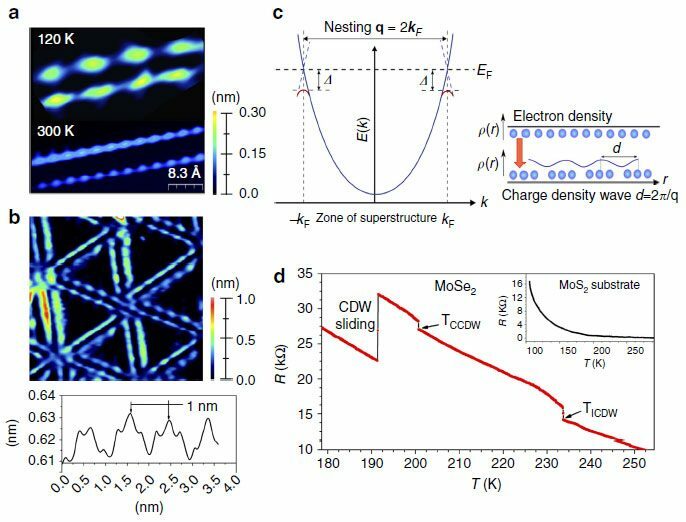 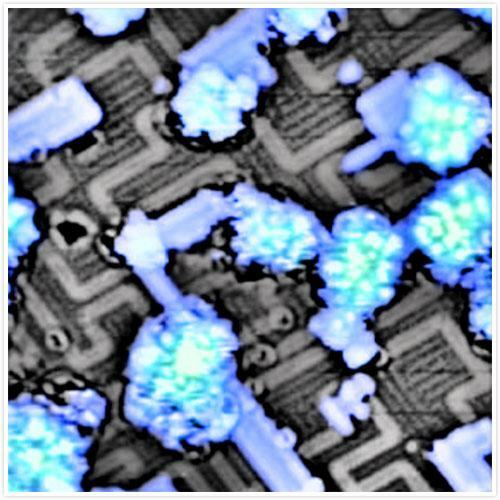 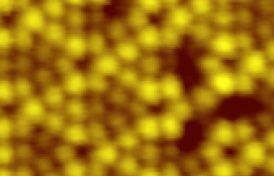 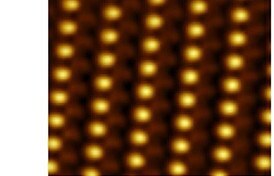 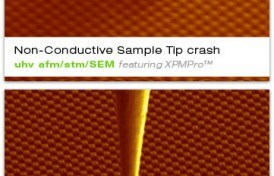 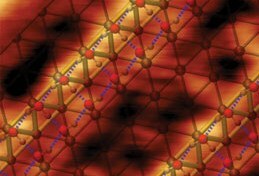 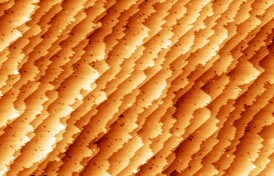 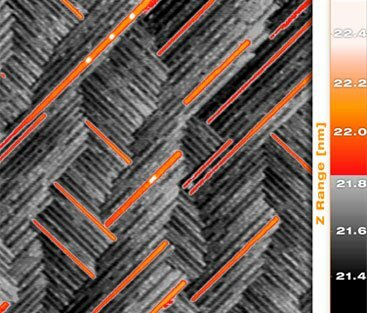 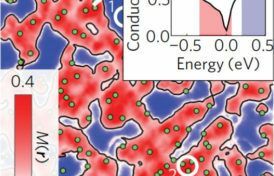 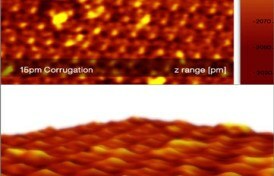 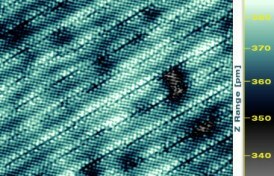 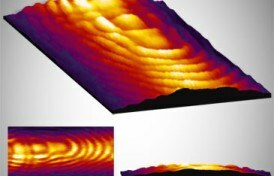 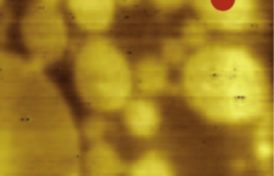 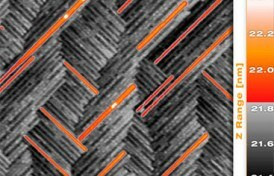 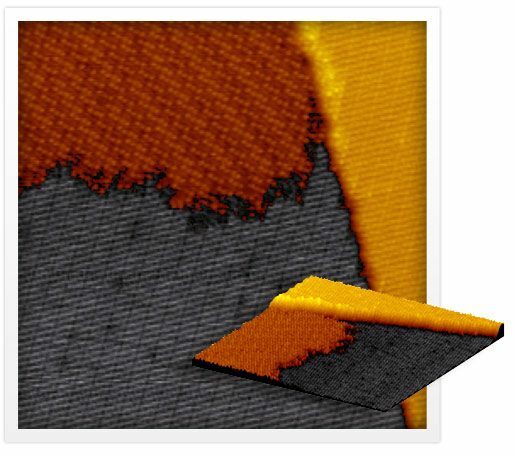 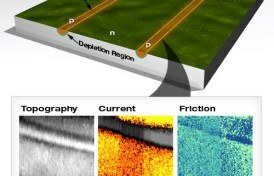 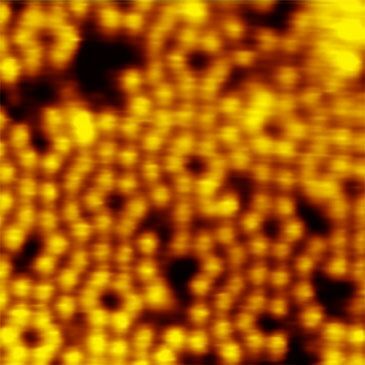 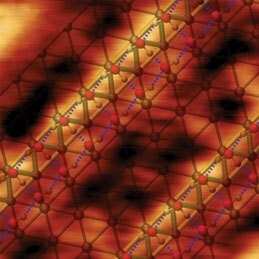 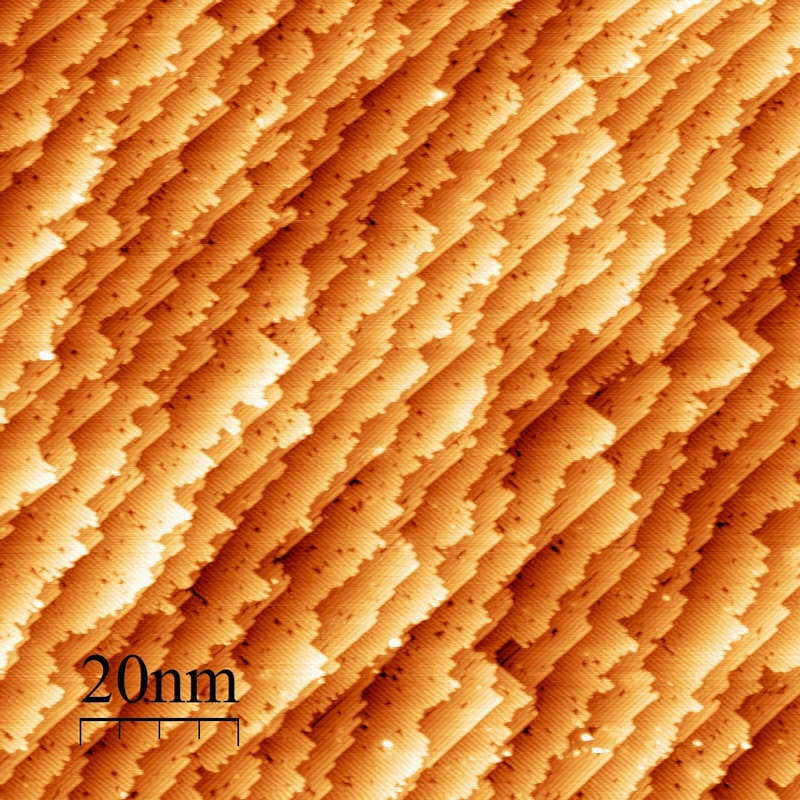 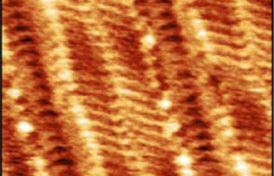 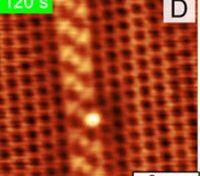 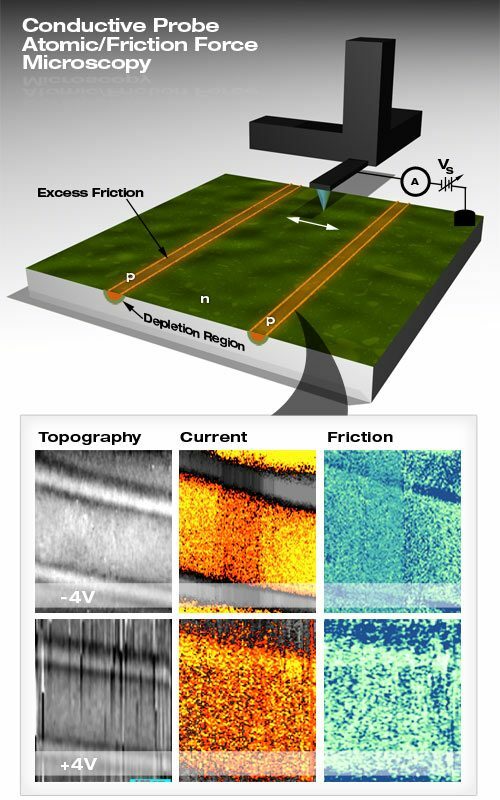 Arrays of nanoscale magnetic tunnel junctions (MTJs) are being pursued for bit patterned media (BPM) and magnetoresistive random access memory (MRAM). 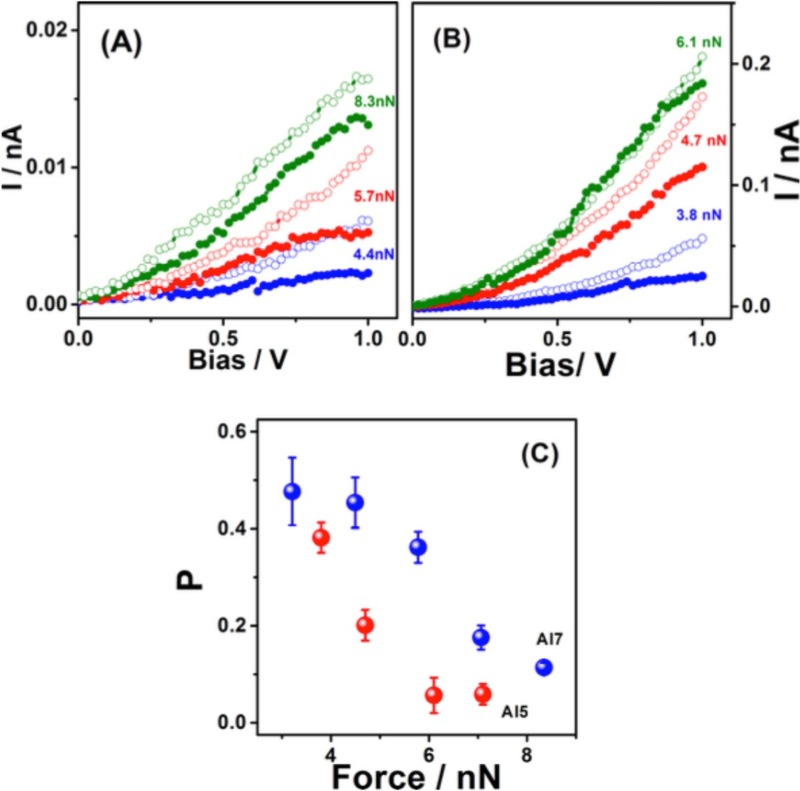 Device performance depends on coercive field and critical bias switching distributions. 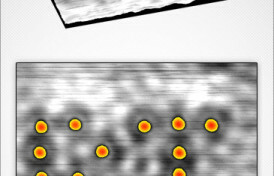 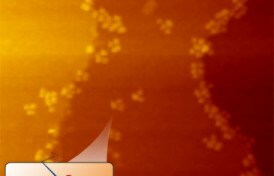 Many well-established techniques allow for the characterization of ensemble average behavior, but conventional device-by-device characterization requires cumbersome processing steps. 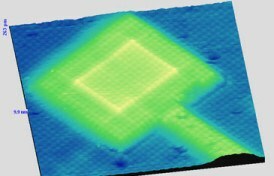 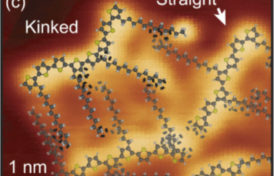 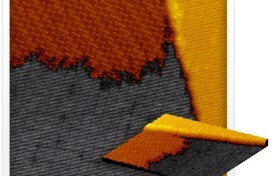 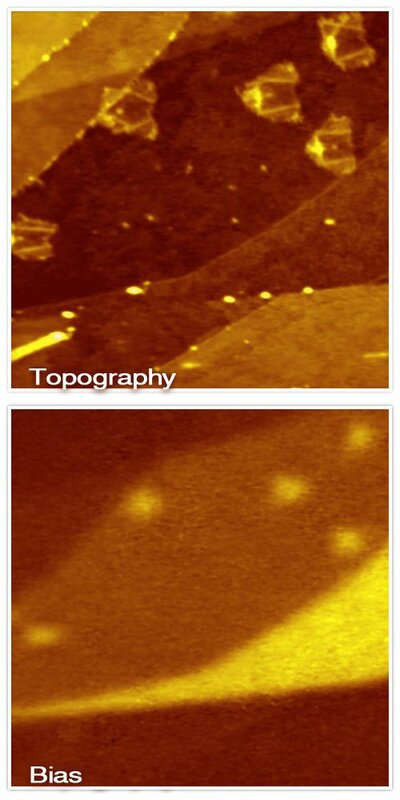 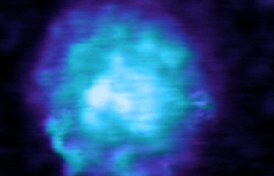 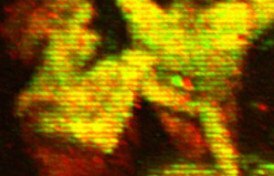 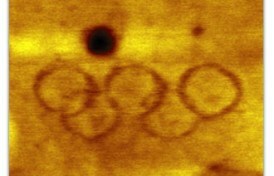 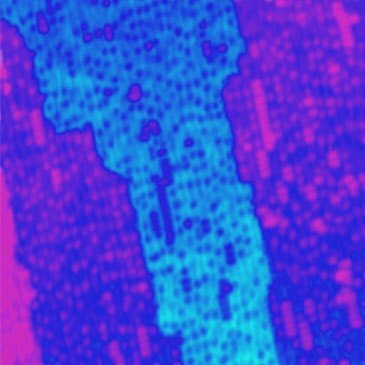 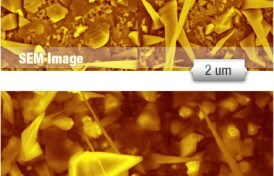 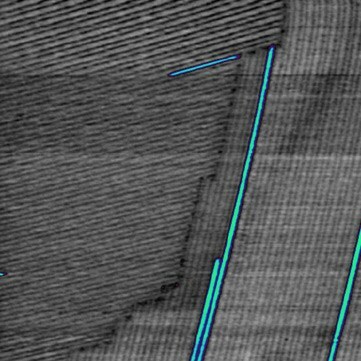 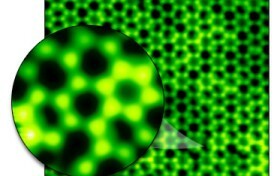 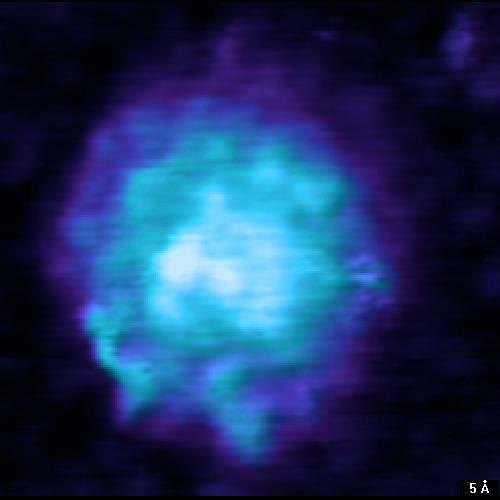 In addition to costly and complicated fabrication steps, the devices are often obscured for imaging.